Sailing on the Mekong River, the Avalon Siem Reap is an incredibly beautiful all-suite ship built in 2015 with premium interiors. The ship cruises between Siem Reap and Ho Chi Minh City and is actually faster than travelling by road. With its colonial theme, the ship is a perfect mix of old world charm with modern technology and luxury. 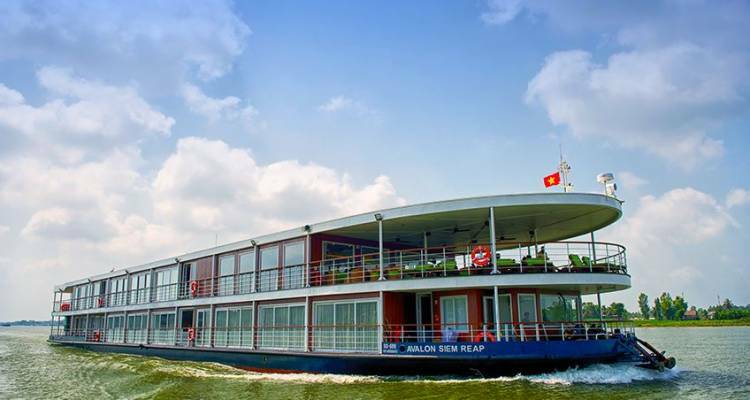 Even though the ship carries a lesser number of guests as compared to other similar ships, it is among the largest suite ships on the Mekong River, giving her guests plenty of living space. With an open air deck for observation and air conditioned Panorama Lounge, you will never run out of places to relax and enjoy the view. The viewing deck and lounges are located at the front of the ship and not at the back, so you always get the best view. Our friendly, English speaking staff will ensure that you are treated like royalty. *Please note that depending on water levels, cruise plans to Siem Reap might change.